Before 1623 there were many scientific minds developing new concepts, recording discoveries and contributing valuable observations on the issue of the behavior of light and the related use of lenses in attaining good vision. However there existed no comprehensive documentation detailing how they all relate. As an example, little was know of the properties of the eye and its specific refractive conditions, how a corrective optical tool like spectacles can be used, and what vision deficiencies they can resolve. 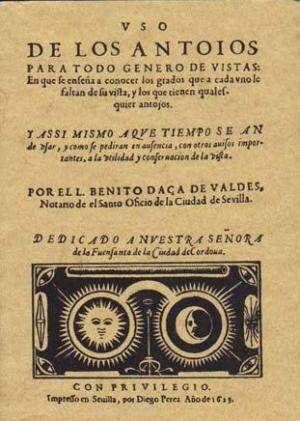 Daza de Valdes addressed these questions in a book considered the first book of optometry. Born in 1591 in the city of Cordoba, Spain, Valdes grew up craving knowledge. He graduated from the University of Seville in 1616 with a Bachelors of Arts and Philosophy and became a scholar of natural philosophy and medicine. 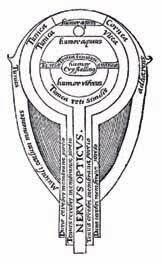 Works from scientific minds like Kepler and Snell, work recorded towards the end of the 16th century and beginning of the 17th century, reinvigorated interest in corrective glasses. This attracted the attention of Valdes who was determined to detail and define all aspects of vision and how it relates to the usability and fabrication of corrective lenses. In his search for answers regarding corrective vision he composed three books in 1623, one book focused on the properties of the eye and vision defects that may require optical correction. In his second book, he provides treatment options using the optical properties of concave and convex crystals along with the ability of finding the precise degrees required to correct them. The third book contains dialogs between craftsmen and doctors, highlighting the importance of combining both technical and theoretical knowledge to achieve a corrective solution. 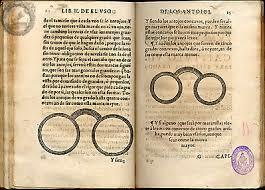 Many historians credit Valdes for a multitude of discoveries and contributions to optometry. Some of these include being one of the first to observe and document cases of farsightedness and the advantages of different types of materials for spectacle use. He was the first person to describe anisometropia, a disorder where the two eyes have different refractive powers. Valdes is also credited for his ingenious method to measure the power of lenses as it relates to the focal length. Currently the refractive power of a lens is defined as the reciprocal of its focal length. After years of valuable contributions to optometry, Valdes passed away in 1634 in Seville, Spain. His contribution to optics was critical in building the foundation for modern day optometry and was paramount in finding treatments vision defects.